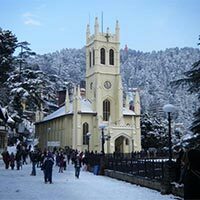 This day after breakfast proceeds for in and around sightseeing of Shimla, visit Kufri, India's one of the best holiday paradise Kufri in Shimla is beautifully tucked on an altitude of 2,622 meter. The place is a tourist hotspot for its awesome scenic and sports activities. Evening free to stroll in the famous shopping place of Shimla town - "THE MALL & THE RIDGE" This large open space in the heart of town presents excellent views of the mountain ranges. 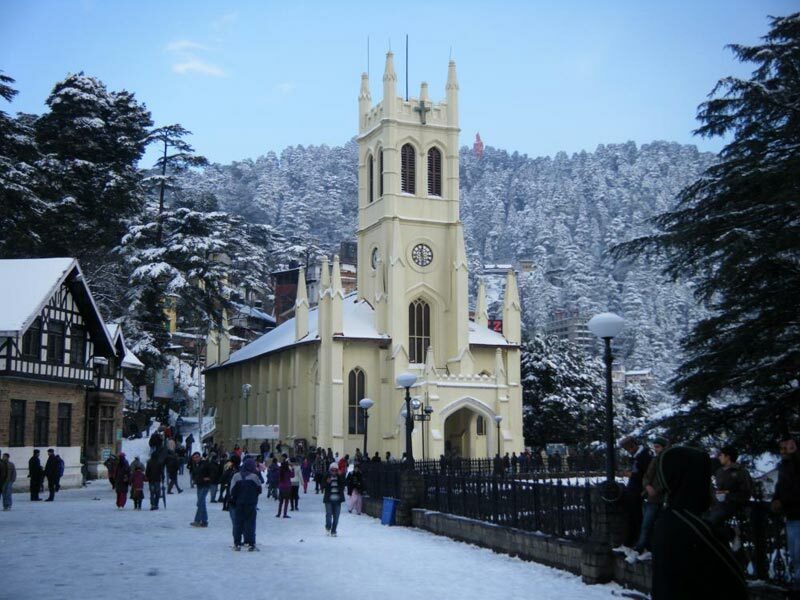 Shimla's landmarks - the neo- gothic structure of Christ Church and the neo - Tudor library building - are worth seeing. Overnight stay at Shimla. ( Green Valley, Wild Flower Hall, Hali Pad, Kufri, Indira Tourist Park, Mini Zoo & Fagu Valley ). Half Day local sightseeing of Manali "HADIMBA TEMPLE" Built in 1553 with a superbly crafted four tiered pagoda roof, it is famous for its exquisitely carved doorway. “CLUB HOUSE” The Club House with its comprehensive facilities that include a roller skating rink, an auditorium, billiards rooms, a library, a bar and restaurant makes wonderful outing for the day.” Tibetan Monastery, Van Vihar, and “VASHIST” Well known for its hot springs. There are old temples dedicated to the sage Vashisth and to Lord Rama. Over night stay at Manali. ( Hadimba Devi Temple, Club House, Manu Temple, Van Vihar, Tibetan Monastery & Vashist Bath Hot Spring Water ) . Rates are valid for limited period only. Rooms are Subject to Availability at the time of confirmation. Service tax will be on total invoice value @4.5 %. If, any increase in diesel/ petrol price & increase in taxes than actual incremental amount would be additional on this package cost.